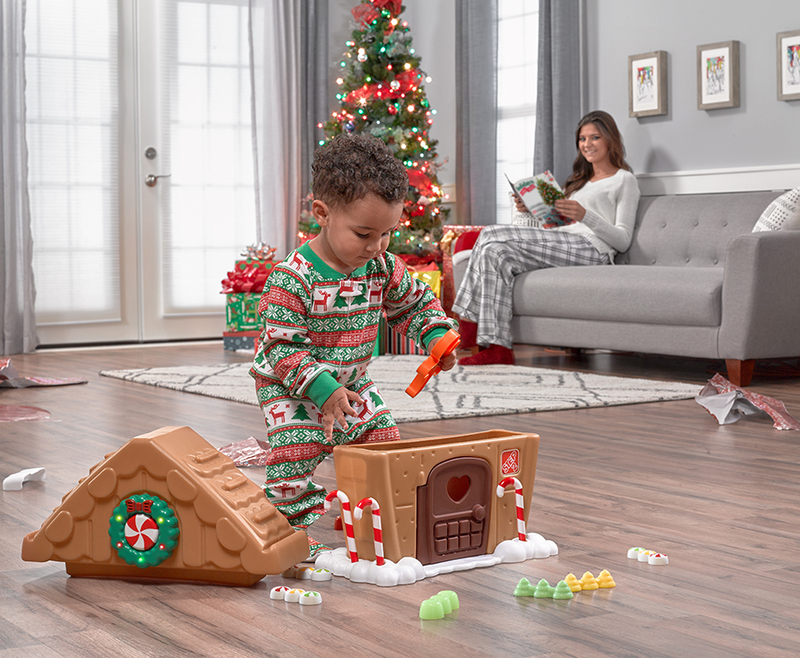 Complete with whimsical-looking frosting swirls, candy canes, and gum drops that actually light up, this beautifully detailed gingerbread house by Step2 is a sweet way for little ones to celebrate the festive holiday season. 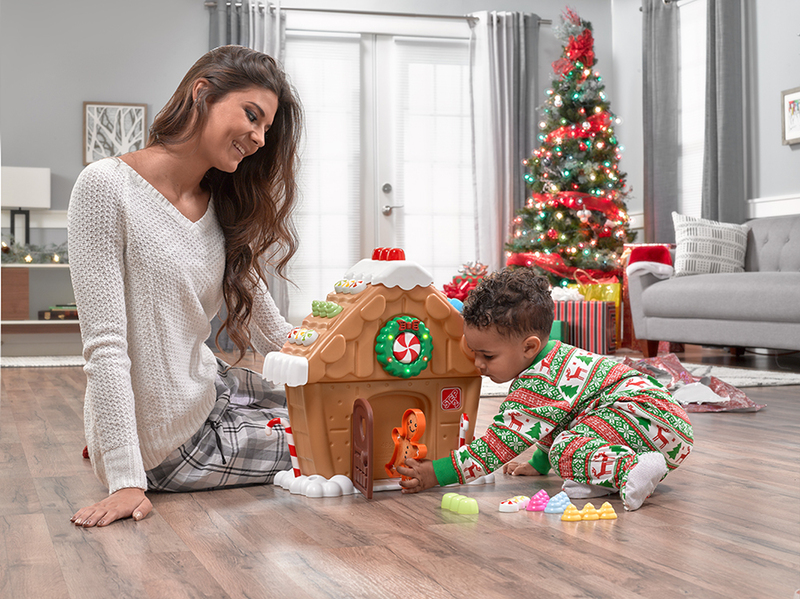 Kiddos will have even more decorating fun (while at the same time expanding their imaginations) with the cute extra accessories, including a gingerbread man, snow caps, and a wreath that also lights up! No more worries about anything being too fragile or hard to handle for those tiny little fingers. Then, when the fun’s all done, just gather up all the pieces and store them neatly inside the house—until it’s time to decorate all over again! 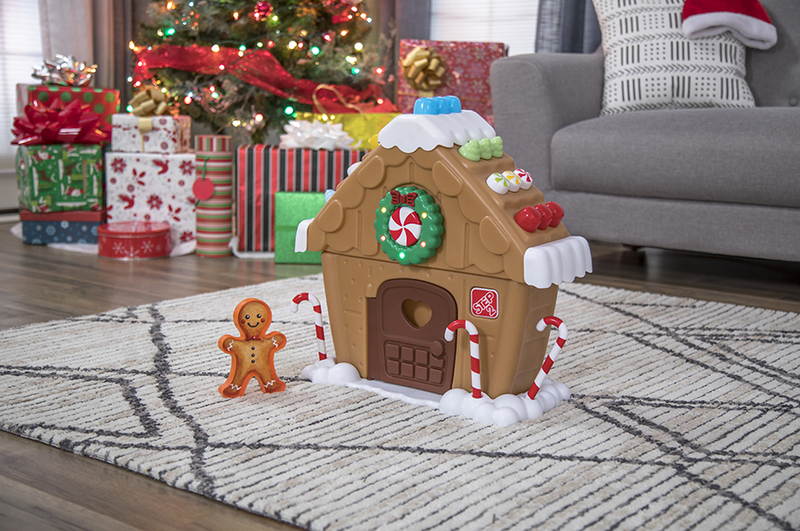 Make this holiday one to remember with the new My First Gingerbread House by Step2.